match employees with the best doctors. MD Insider for Employers is a physician performance transparency solution that matches employees and their dependents with the best doctors. Providers are scored based on objective measures like experience and outcomes. When an employee finds a doctor, MD Insider provides relevant fact based information to support this decision. Employees do not need clinical, network or technical expertise to find a doctor. 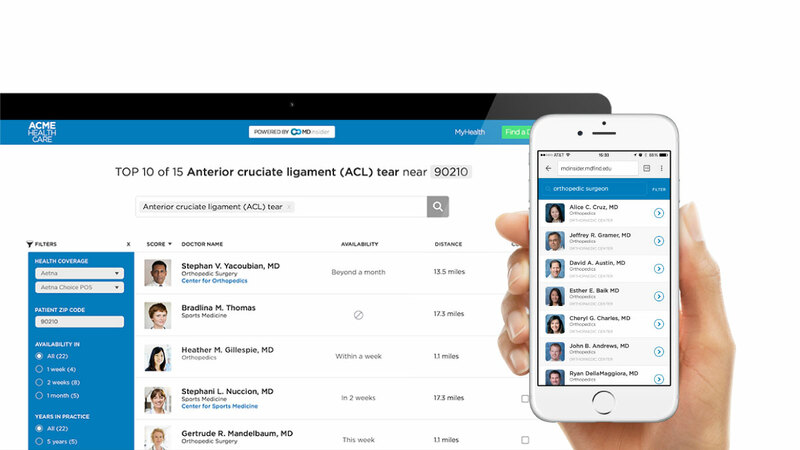 The solution leverages web best practices to make it easy to find the best doctors. Understand network tradeoffs – So you can make the best decisions about your network options. Technical Benefits - A SAAS model that is not a burden to your IT department and is easily accessed by your employees.